Price Freeze - As of October 1st Hobart increased prices. However, we have held the pricing whilst stocks last. 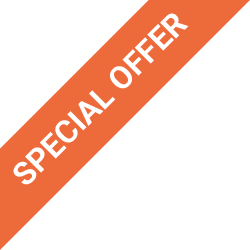 FREE - we are giving you a chemical starter pack, this includes 2 x 5 litre Rinse Aid and 2 x 5 litre Detergent. This quality comprehensive dishwasher has all the same attributes as the F503 with the valuable addition of a built-in automatic water softener. 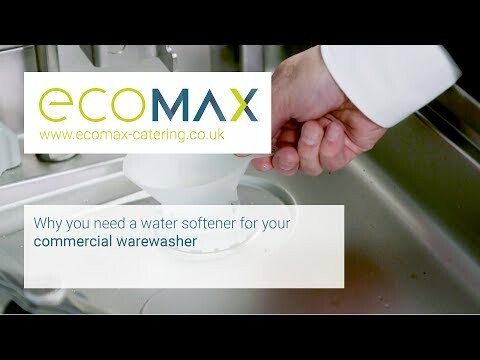 The advantages of a softener for hard water areas can be viewed elsewhere on the website but if it is necessary and space and convenience are essential then the Ecomax Plus F503S should be seriously considered. The same comprehensive specification including Accurinse and Intensiv are to be found in the F503S along with Smartonic controls, a single button programme for ease of operation. 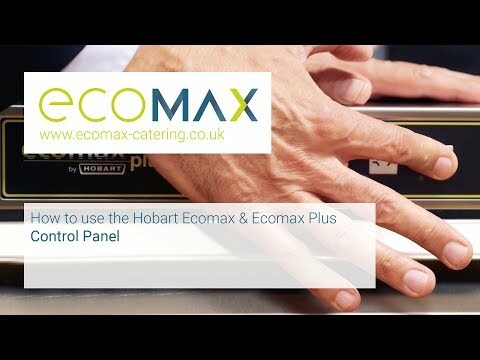 The double skinned cabinet is effective in reducing noise and heat loss which combined with a compact wash tank add up to water, detergent and energy savings. All of these intelligent ideas incorporated in the F503S have resulted in a desirable addition to your kitchen if a softener is required.